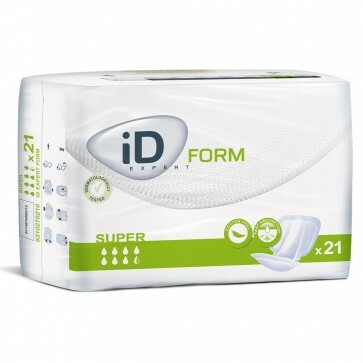 Id Expert Form Super are highly absorbent body contoured incontinence pads. 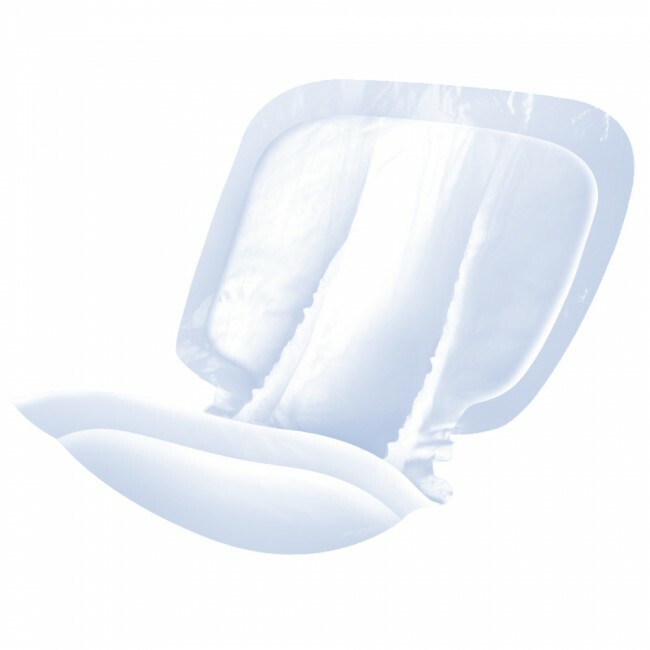 The pads are ideal for users with heavy incontinence. Manufactured with using a cotton feel material, these pads provide the user with maximum comfort. The addition of Odour Control Technology means the pads prevent the formation of ammonia and mask any unwanted odour. A double wetness indicator in the pads acts as a useful guide to when to change the product. The acquisition layer in the product promotes the fast passage of urine through to a multi-layer absorbent core containing SAP Super Absorbent Polymers. SAP is designed to absorb and lock urine inside the core of the pad, reducing the risk of re-wetting. The pads are latex free to ensure they will cause no irritation or damage to the skin. We recommend using the pad with Id Expert Fixation Pants.